As the doors to the San Antonio Event Center opened last Thursday morning, hundreds of moms, dads and grandparents facing financial hardship filed into the building, eager to pickup toys from the Salvation Army Angel Tree program. Christmas will be a little brighter for many San Antonio families, thanks in part to CPS Energy employees who donated and distributed gifts for more than 900 children through the Salvation Army Angel Tree program. For many children, the gifts they receive through the program will be the only ones they open on Christmas morning. The CPS Energy employees who volunteered their time to help the Angel Tree program by delivering, sorting and distributing gifts. The Salvation Army first began the Angel Tree program close to 100 years ago. Donors and volunteers from companies like CPS Energy make it possible for Christmas to happen for thousands of children each year. This year, it helped 2,700 families and 7,000 children in the San Antonio area. 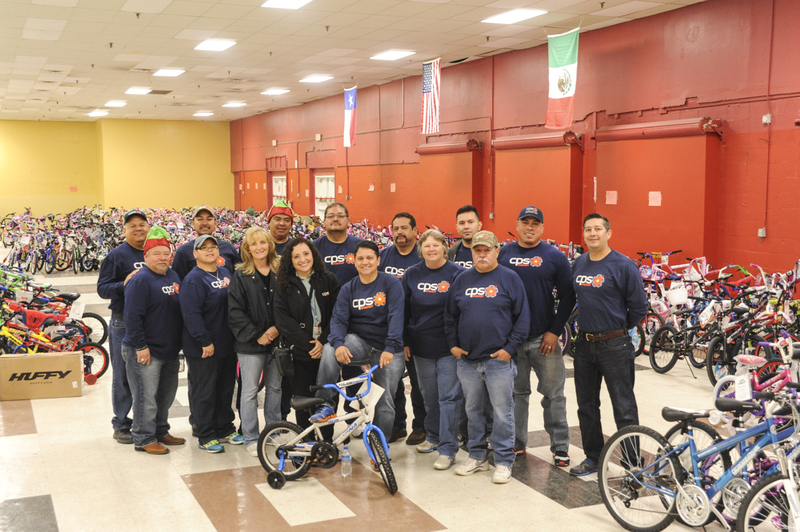 After a month of collecting gifts, “It was heart-warming to see the truck loads of toys, bikes, books and clothing donated by our employees,” said Lori Johnson, director of corporate responsibility.Contributions nearly doubled from last year, she noted. Numerous employees also were on hand at the San Antonio Event Center to help sort and distribute gifts to grateful families.